What are the top landmarks in Windsor? Manicured gardens stretch beyond the Gothic turrets of the world’s oldest and largest inhabited castle, a weekend home to royals. Enjoy the thrills at Legoland and find out why people love this theme park in Windsor. Wander the area's riverfront or simply enjoy one of its top-notch restaurants. Explore the great outdoors at Windsor Great Park, a lovely green space in Windsor. Stroll along the area's riverfront or simply savour its lively bars. Step back in time and learn more about local history with a stop at Windsor Bridge in Windsor. Attend a sporting event or simply enjoy the lively bars while you're in the area. With an opulence worthy of the former monarchs buried inside, this 15th-century chapel is the go-to spot for royal ceremonies and weddings. Enjoy a show at Theatre Royal, a theatre with a story to tell in Windsor. Wander the area's riverfront or simply enjoy one of its lively bars. Windsor City Centre is a neighbourhood that welcomes all visitors. Runnymede is a welcoming neighbourhood. The neighbourhood’s charm comes through in its friendly people. Many visitors come to enjoy the natural beauty of the riverfront. 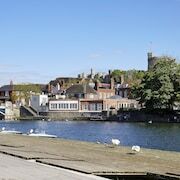 Henley, Marlow and Windsor and all their wonderful shops, bars and cafes, parks and river views/trips. 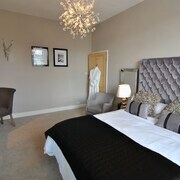 excellent location in the centre of Windsor and yet room location was quiet , lovely decor and comfy bed. 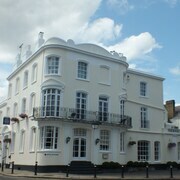 Hotel is situated on the bank of the Thames which affords lovely walks and easy access to Windsor and other attractions. Stayed for 2 nights to attend the horse race meeting at Windsor, staff were friendly & very helpful & excellent foods & drinks ?? Just a little way from the central part of Windsor, but very close to some very good restaurants and easily able to walk from Windsor Castle. 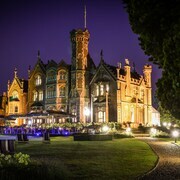 Stayed here whilst in Windsor for Easter weekend and really enjoyed it. The hotel is really lovely and has several buildings where you can stay. We were in the Heritage Building, which was pleasant. The breakfast was great, lots of choice and the brasserie room overlooks the river. Location was great, right by the river on Windsor Bridge, a short walk from the castle, shops and restaurants. We couln't park in the hotel's car park as it was full, but managed to find free parking nearby luckily. Wasn't aware that the hotel car park needed pre-booking. The hotel staf were helpful though in advising where else to park. Would definitely stay here again and would recommend. Windsor is an ever-popular town for visitors. 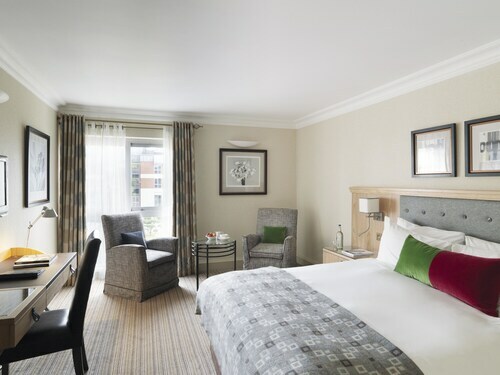 Located a stone's throw from the M4 and just half an hour from London, it's easily accessible by road and with excellent rail links and Heathrow Airport nearby, it's convenient to get to, no matter where you're travelling from. Part-time home to Queen Elizabeth II and the Royal Family, Windsor is a beautiful part of Berkshire and well worth a visit at any time of year. 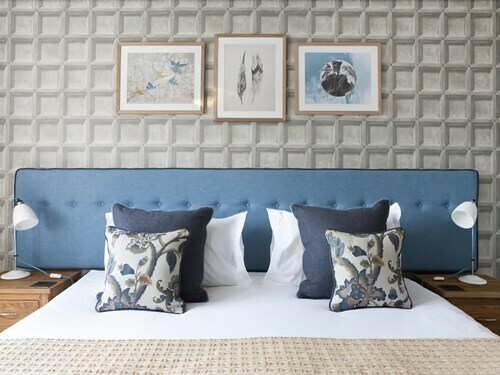 Hotels in Windsor come in all shapes and sizes, from unpretentious inns and guesthouses to exclusive and sophisticated boutique establishments. Families looking to steal some quality time together will find plenty to see and do. Windsor Great Park is a beautiful place to explore, brimming with legends about Herne the Hunter and his ghostly hunting party. The Great Park joins up to Windsor Castle, via the Long Walk and the Queen and Prince Philip can sometimes be seen exploring the estate. With all the history evident in Windsor's buildings and architecture, it's not unusual to find that many of the Windsor hotels come with their own stories. The Sir Christopher Wren Hotel and Spa was erected in the architect's honour, and is rife with tales of ghostly goings on! 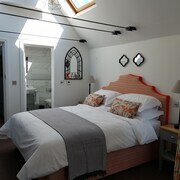 Today, it offers luxurious surroundings and has been renovated to maintain much of its historic character. 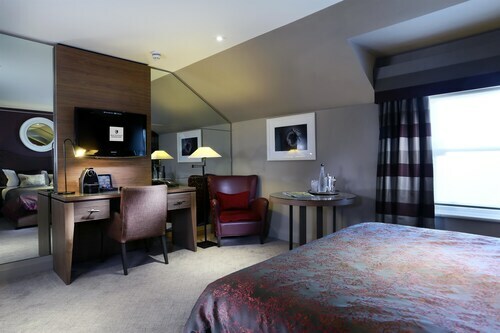 The Sir Christopher Wren Hotel and Spa backs onto the River Thames and the small bridge that links Windsor to Eton. Eton is a tiny village, consisting of little more than a high street and a few pubs. However, given its heritage, Eton has something of a Dickensian look to it and is overshadowed by the Hogwarts-like Eton College. There are a handful of hotels in Eton such as the Crown and Cushion, which are always popular, given their prestigious surroundings. There are plenty of attractions to be found in Windsor - particularly for children. 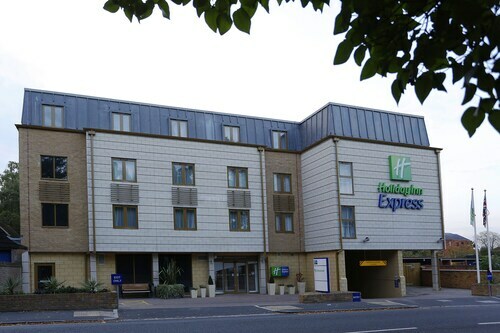 Legoland Windsor, the Royal Windsor Wheel and Windsor Castle are all within easy reach of most Windsor hotels, such as the Castle Hotel Windsor MGallery and the MacDonald Windsor Hotel. You'll also find plenty of events happening throughout the calendar, such as the Windsor Festival, the Royal Windsor Horse Show and the annual Swan Upping, which takes place on the Thames. Windsor combines the historical with the modern to spectacular effect, making it a great place to visit at any time of year. 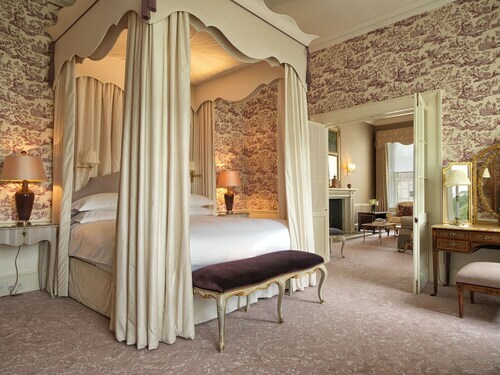 With a wide selection of hotels to choose from, you can make your stay a special one. Still haven't found what you're after? 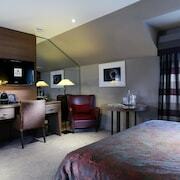 Check out our extensive selection of London hotels. Explore Windsor with Expedia's Travel Guides to find the best flights, cars, holiday packages and more!